The preparations began bright and early in the morning. Sarah had a lot of family fly in from Hong Kong for the wedding, so when we arrived at her house, everyone was busy making food, getting ready, and taking care of last minute details. The smells coming out that that kitchen were amazing! 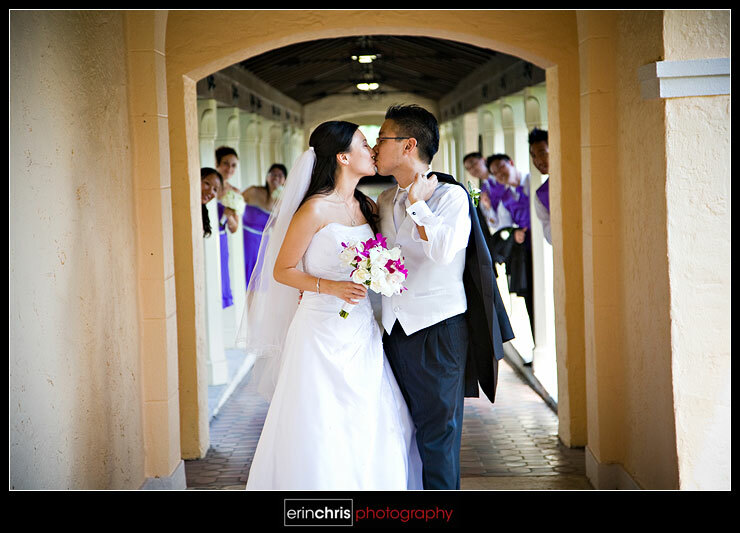 It was great to see all the Asian influence that was added into every aspect of their wedding day. With Sarah's family being Chinese, and Vincent's family being Filipino, you knew that everyone was going to eat well all day long... and those are my kind of people! 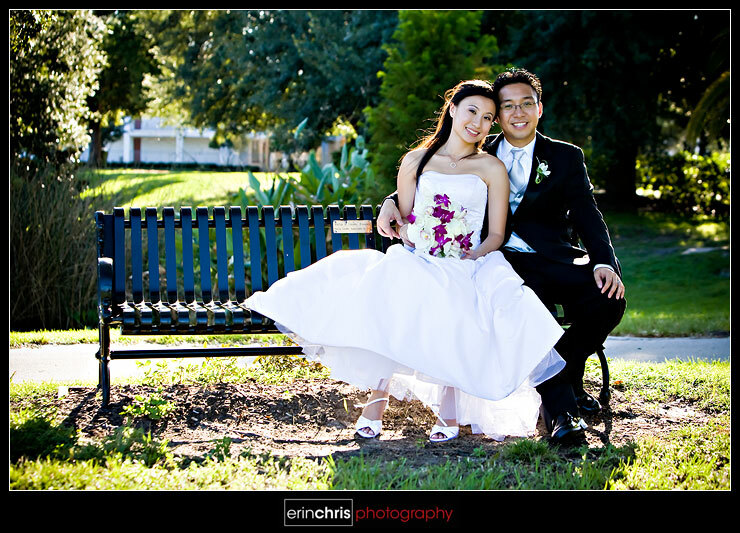 Here are a couple getting ready shots. 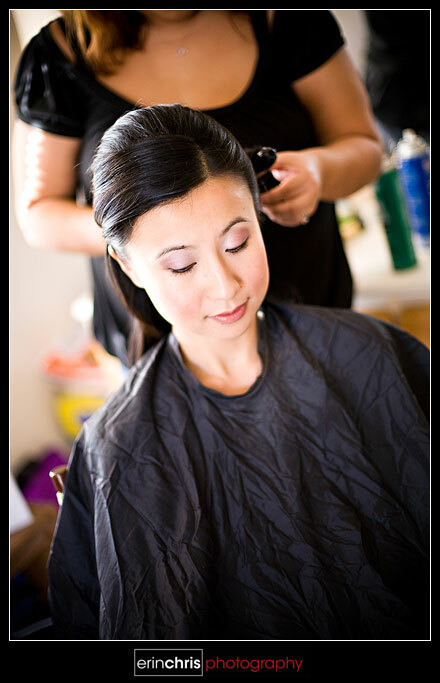 Peggy DeLeon did a fabulous job with Sarah's hair and makeup. She was so easy to work with and actually helped us climb around on the furniture and snap photos over her shoulder. 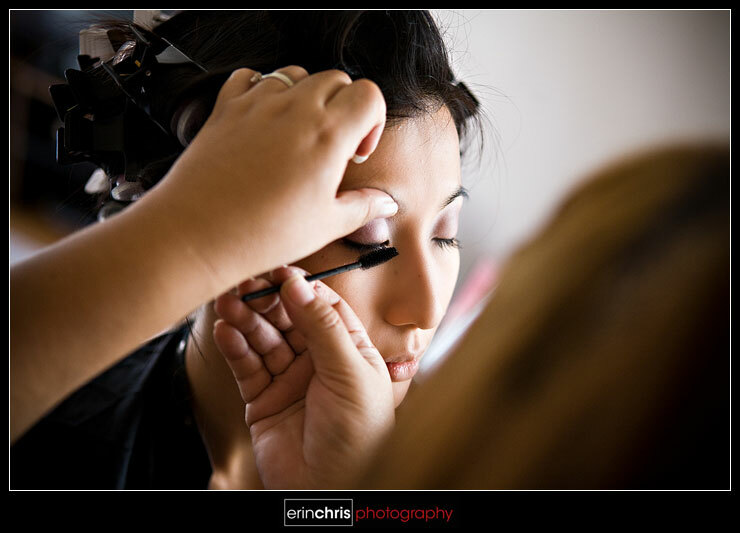 Chris captured so many great shots of Sarah getting her hair and makeup done. Here is one of my favorites. The pure excitement was great! Here is Sarah checking out her new bling. 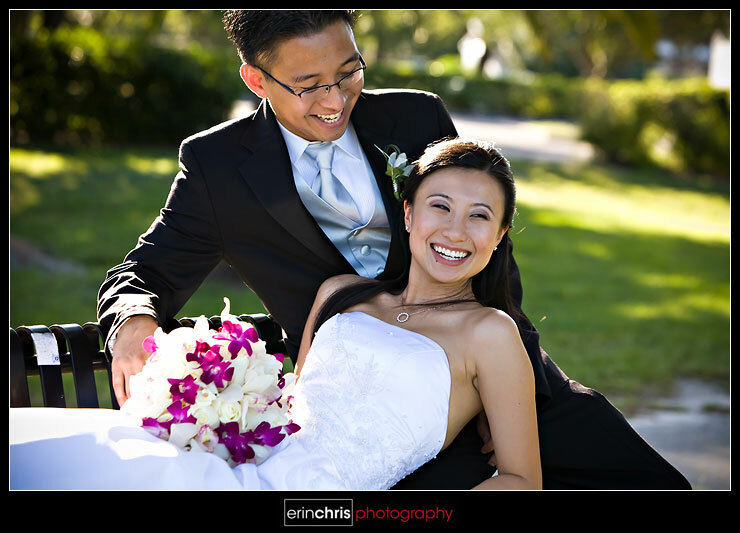 Of course smiles like that are infectious, which made it hard for Vincent to contain his happiness. 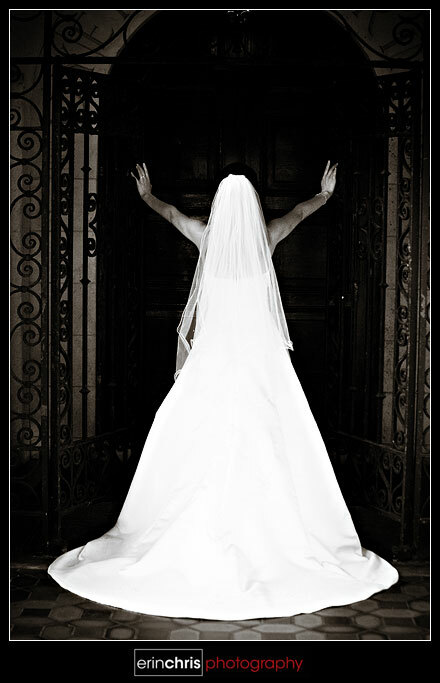 These iron gates we found were very dramatic. 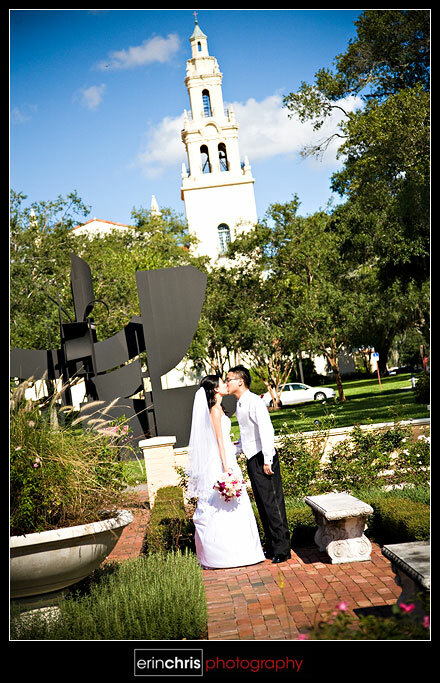 The reception was held at the Winter Park Civic Center and the park area around back had some beautiful spots for photos. 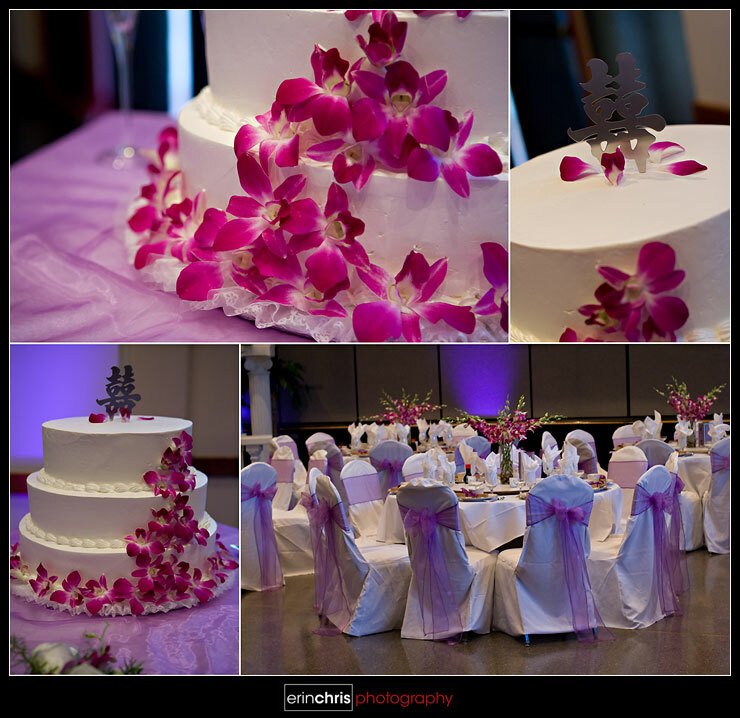 The table arrangements and details were put together perfectly to tie their colors and theme together. Sarah and Vincent arranged ample time for us to set up a slideshow during their 8-course meal. 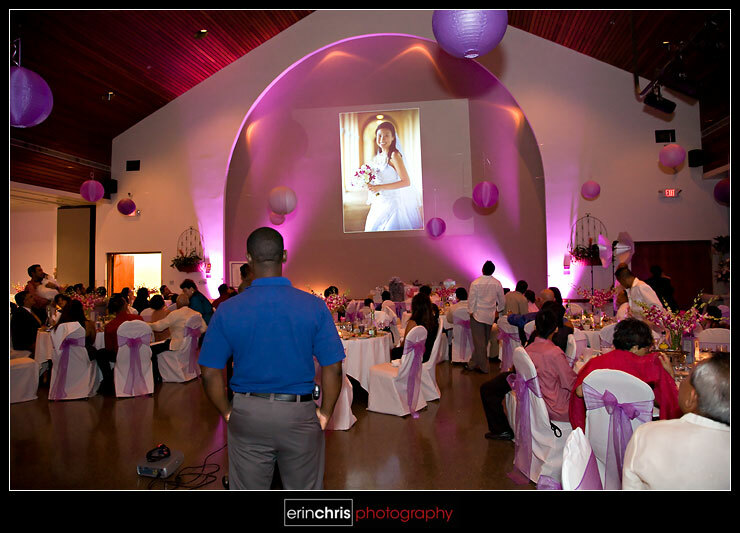 Before the dancing started and the party really came alive, we projected the slideshow with photos from earlier in the day, as well as engagement photos from their engagement session in Tampa. It was so cool to see everything projected onto the big wall! Jay with Liquid Entertainment did such a great job keeping the party going all night and was great to work with! 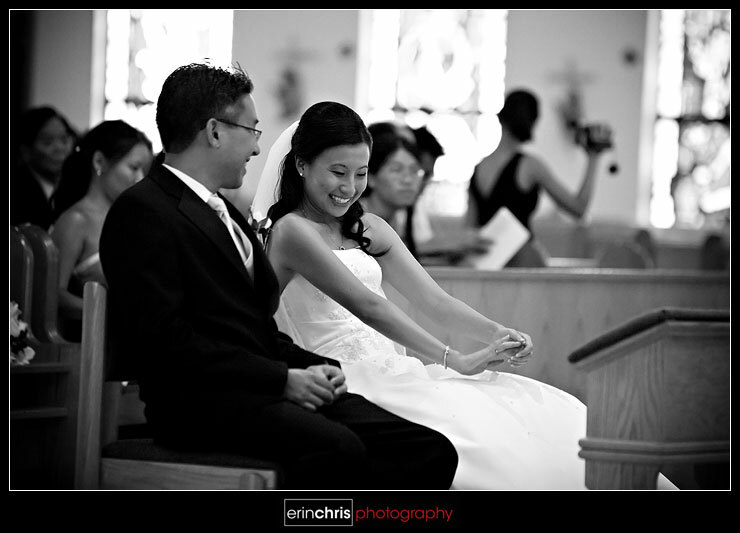 The music was soo good that it was tough for Chris and me not to put our cameras down and hit the dance floor. Sarah and Vincent's crew all knew how to have a good time and definitely entertained with awesome dancing including a few spectacular breakers. 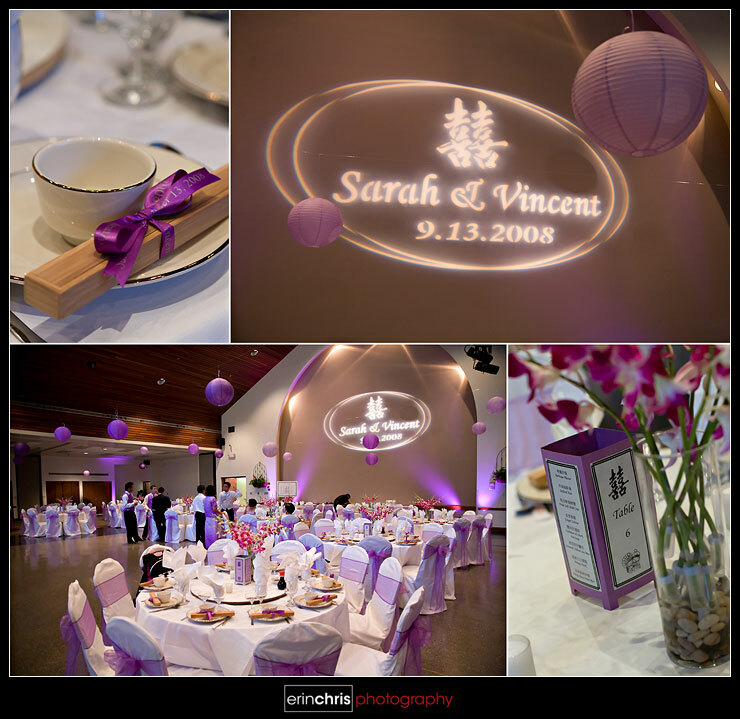 Thanks so much to Sarah and Vincent for inviting us to be a part of your big day. You guys were so much and we hope you're having a great time on your honeymoon in the Dominican! These are beautiful! I can't pick a favorite. I love your work! 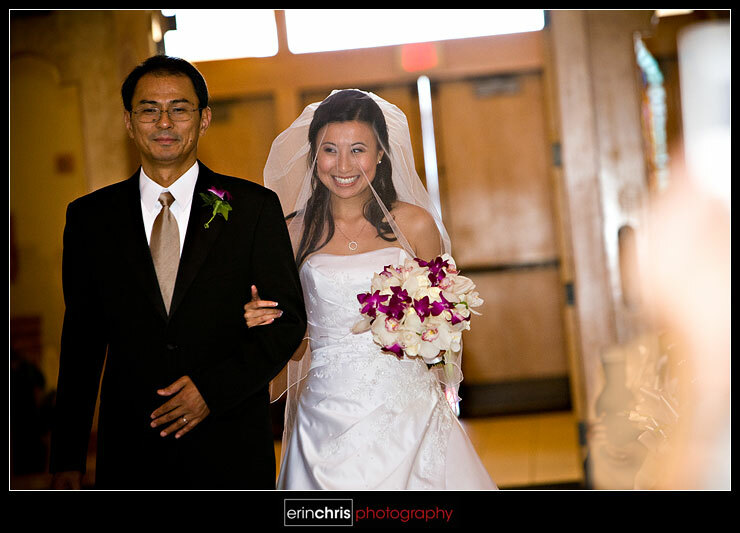 Erin and Chris! You did such a great job!! I love the bench pictures. Perfect lighting!!! Y'all are such a great duo! The colors are phenomenal! Love that Bridge shot, the room shots are also amazing. Very, very nice. This wedding party looked like they were a blast to photograph. 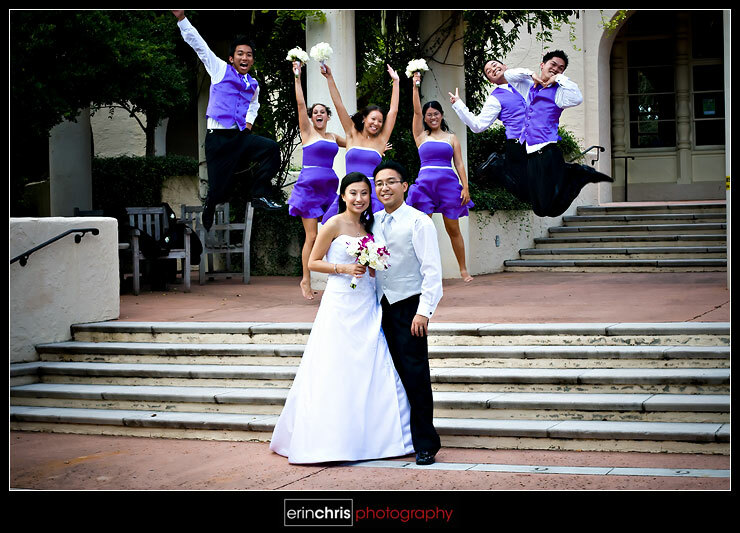 Love the jumping purple bridal party!! Fun! Gorgeous shots! Specially the jump, so well done. Love your work as always. gorgeous!!! 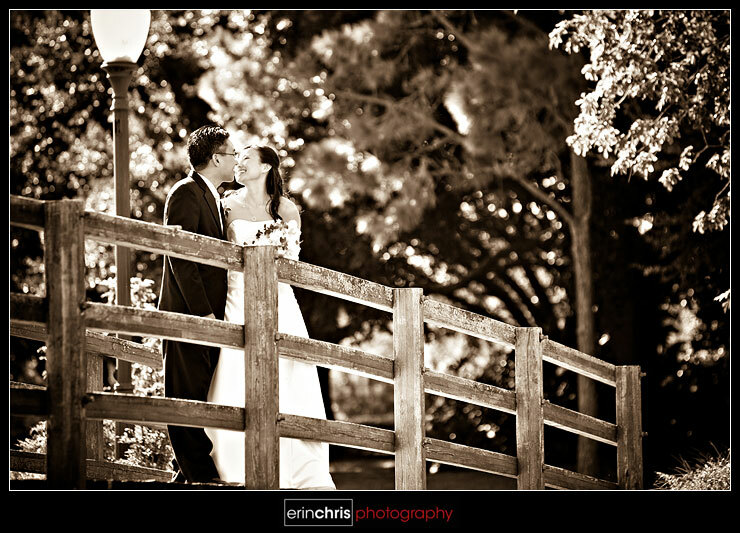 love the shot on the bridge!! love it erin!